Please look carefully at the costumes with various embroideries on them. The heavier ones can weigh up to 20 kg. You will be able to take a close look after the performance during the commemorative photo session. The Kagura musical accompaniment is performed by four Japanese instruments. However, there is no sheet music of the sounds. This is to ensure that every group's “sound” and “rhythm” are heard by the ears, remembered by the body and passed on. Only those who are seted at zone can take photos. 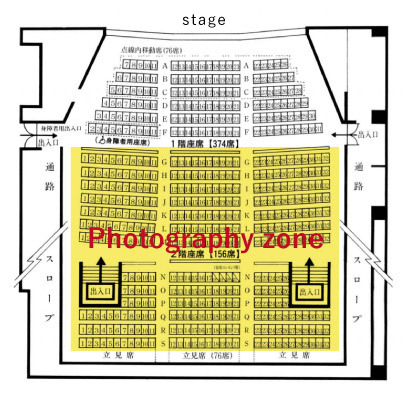 *Please note that the filming area is set up in the hall. there, and no flash or no video camera are allowed.